John Lewis Gaddis (born 1941) is the Robert A. Lovett Professor of Military and Naval History at Yale University. He is best known for his work on the Cold War and grand strategy, and has been hailed as the "Dean of Cold War Historians" by The New York Times. Gaddis is also the official biographer of the seminal 20th-century American statesman George F. Kennan. 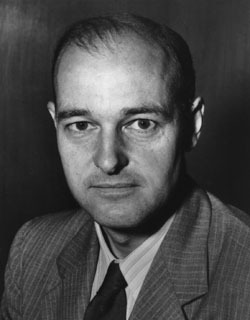 George F. Kennan: An American Life (2011), his biography of Kennan, won the 2012 Pulitzer Prize for Biography or Autobiography. Gaddis was born in Cotulla, Texas, in 1941. He attended the University of Texas at Austin, receiving his BA in 1963, MA in 1965, and PhD in 1968, the latter under the direction of Robert Divine. Gaddis then taught briefly at Indiana University Southeast, before joining Ohio University in 1969. At Ohio, he founded and directed the Contemporary History Institute, and was named a distinguished professor in 1983. In the 1975–77 academic years, Gaddis was a Visiting Professor of Strategy at the Naval War College. In the 1992–93 academic year, he was the Harmsworth Visiting Professor of American History at Oxford. He has also held visiting positions at Princeton University and the University of Helsinki. He served as president of the Society for Historians of American Foreign Relations in 1992. In 1997, he moved to Yale University to become the Lovett Professor of Military and Naval History. In the 2000–01 academic year, Gaddis was the George Eastman Professor at Oxford, the second scholar (after Robin Winks) to have the honor of being both Eastman and Harmsworth professor. In 2005, he received the National Humanities Medal. He sits on the advisory committee of the Wilson Center's Cold War International History Project, which he helped establish in 1991. Gaddis is also known for his close relationship with the late George Kennan and his wife, whom Gaddis described as "my companions". Gaddis is probably the best known historian writing in English about the Cold War. Perhaps his most famous work is the highly influential Strategies of Containment (1982; rev. 2005), which analyzes in detail the theory and practice of containment that was employed against the Soviet Union by Cold War American presidents, but his 1983 distillation of post-revisionist scholarship similarly became a major channel for guiding subsequent Cold War research. The Cold War (2005), praised by John Ikenberry as a "beautifully written panoramic view of the Cold War, full of illuminations and shrewd judgments," was described as an examination of the history and effects of the Cold War in a more removed context than had been previously possible, and won Gaddis the 2006 Harry S. Truman Book Prize. Critics were less impressed, with Tony Judt summarising the book as "a history of America's cold war: as seen from America, as experienced in America, and told in a way most agreeable to many American readers." His 2011 biography of George Kennan garnered multiple prizes, including a Pulitzer. John Nagl, in the Wall Street Journal, wrote of Gaddis's 2018 book On Grand Strategy as "a book that should be read by every American leader or would-be leader". Gaddis is known for arguing that Soviet leader Joseph Stalin's personality and role in history constituted one of the most important causes of the Cold War. Within the field of U.S. diplomatic history, he was originally most associated with the concept of post-revisionism, the idea of moving past the revisionist and orthodox interpretations of the origins of the Cold War to embrace what were (in the 1970s) interpretations based upon the then-growing availability of government documents from the United States, Great Britain and other western government archives. Due to his growing focus on Stalin and leanings toward US nationalism, Gaddis is now widely seen as more orthodox than post-revisionist. The revisionist Bruce Cumings had a high profile debate with Gaddis in the 1990s, where Cumings criticized Gaddis as moralistic and lacking in objectivity. Gaddis is close to President George W. Bush, making suggestions to his speech writers, and has been described as an "overt admirer" of the 43rd President. After leaving office, Bush took up painting as a hobby at Gaddis's recommendation. U.S. President George W. Bush and First Lady Laura Bush standing with 2005 National Humanities Medal recipient John Lewis Gaddis on November 10, 2005 in the Oval Office at the White House. George F. Kennan: An American Life. New York, NY: The Penguin Press. 2011. ISBN 978-1-594-20312-1. Surprise, Security, and the American Experience. Cambridge, MA: Harvard University Press. 2004. ISBN 978-0-674-01174-8. The Landscape of History: How Historians Map the Past. New York, NY: Oxford University Press. 2002. ISBN 978-0-195-06652-4. (Co-editor with Philip H. Gordon, Ernest R. May and Jonathan Rosenberg). Cold War Statesmen Confront the Bomb: Nuclear Diplomacy Since 1945. Oxford: Oxford University Press. 1999. ISBN 978-0-198-29468-9. We Now Know: Rethinking Cold War History. Oxford: Clarendon Press. 1997. ISBN 978-0-198-78070-0. The United States and the End of the Cold War: Implications, Reconsiderations and Provocations. New York, NY: Oxford University Press. 1992. ISBN 978-0-195-05201-5. The Long Peace: Inquiries into the History of the Cold War. New York, NY: Oxford University Press. 1987. ISBN 978-0195043365. Strategies of Containment: A Critical Appraisal of Postwar American National Security Policy. New York, NY: Oxford University Press. 2005 . ISBN 978-0195174489. Russia, the Soviet Union and the United States: An Interpretive History. New York, NY: McGraw-Hill. 1990 . ISBN 978-0-075-57258-9. The United States and the Origins of the Cold War, 1941–1947. New York, NY: Columbia University Press. 2000 . ISBN 978-0-231-12239-9. "Grand strategies in the Cold War". In Melvyn P. Leffler and Odd Arne Westad, eds., The Cambridge History of the Cold War, Volume II: Crises and Détente (pp. 1–21). Cambridge: Cambridge University Press. 2010. ISBN 978-0-521-83720-0. "Ending Tyranny: The past and future of an idea". The American Interest (Sep–Oct 2008). Archived from the original on 25 May 2013. Retrieved 15 April 2013. "Grand Strategy in the Second Term". Foreign Affairs. 84 (1): 2–15. 2005. JSTOR 20034202. "A Grand Strategy of Transformation". Foreign Policy (Nov–Dec 2002): 50–57. Retrieved 15 April 2013. "On Starting All Over Again: A Naïve Approach to the Study of the Cold War". In Odd Arne Westad, ed., Reviewing the Cold War: Approaches, Interpretations, Theory (pp. 27–42). London & Portland, OR: Frank Cass. 2000. ISBN 978-0-714-65072-2. Gaddis, John Lewis (1996). "On Moral Equivalency and Cold War History". Ethics & International Affairs. 10: 131–148. doi:10.1111/j.1747-7093.1996.tb00007.x. Archived from the original on 2000-08-17. Gaddis, John Lewis (1993). "The Tragedy of Cold War History". Diplomatic History. 17 (1): 1–16. doi:10.1111/j.1467-7709.1993.tb00156.x. Gaddis, John Lewis (1992). "The Cold War, the Long Peace, and the Future". Diplomatic History. 16 (2): 234–246. doi:10.1111/j.1467-7709.1992.tb00499.x. Gaddis, John Lewis (1991). "The Soviet Side of the Cold War: A Symposium: Introduction". Diplomatic History. 15 (4): 523–526. doi:10.1111/j.1467-7709.1991.tb00145.x. Gaddis, John Lewis (1990). "New Conceptual Approaches to the Study of American Foreign Relations: Interdisciplinary Perspectives". Diplomatic History. 14 (3): 405–424. doi:10.1111/j.1467-7709.1990.tb00098.x. Gaddis, John Lewis (1989). "Intelligence, Espionage, and Cold War Origins". Diplomatic History. 13 (2): 191–212. doi:10.1111/j.1467-7709.1989.tb00051.x. Gaddis, John Lewis (1983). "The Emerging Post-Revisionist Synthesis on the Origins of the Cold War". Diplomatic History. 7 (3): 171–190. doi:10.1111/j.1467-7709.1983.tb00389.x. "The Cold War: Some Lessons for Policy Makers". Naval War College Review. 27 (3): 2–15. 1974. ^ a b "Yale Department of History » John Gaddis". history.yale.edu. Retrieved 3 April 2013. ^ Priscilla Johnson McMillan (25 May 1997). "Cold Warmonger". The New York Times. Retrieved 2 April 2013. ^ Douglas Brinkley (17 February 2004). "Celebrating a Policy Seer And His Cold War Insight". The New York Times. nytimes.com. Retrieved 19 August 2013. Profile of Kennan on his 100th birthday, includes several paragraphs detailing his relationship with Gaddis. ^ a b c "The 2012 Pulitzer Prize Winners: Biography or Autobiography". pulitzer.org. Retrieved 2 April 2013. ^ Alden Branch, Mark. "Days of Duck and Cover". Yale Alumni Magazine (March 2000). Retrieved 3 April 2013. ^ a b c "Historians will debate Cold War". The Lewiston Daily Sun. 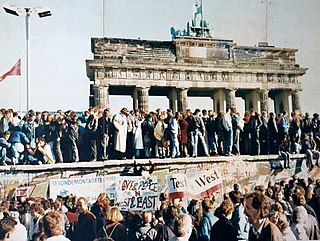 23 January 1989. Retrieved 2 April 2013. ^ "Princeton University Library Finding Aids: 'John Lewis Gaddis Papers on George F. Kennan, 1982–1989', Collection Creator Biography". findingaids.princeton.edu. Retrieved 2 April 2013. ^ "Honorary Alumni: John Lewis Gaddis". Ohio University Today (Fall 1990): 6. 1990. Retrieved 7 April 2013. ^ a b "Harold Vyvyan Harmsworth Visiting Professor of American History". rai.ox.ac.uk. Archived from the original on 24 June 2013. Retrieved 11 May 2013. ^ a b "Past Presidents". shafr.org. Retrieved 2 April 2013. ^ "Winks honored by Oxford, National Parks". Yale Bulletin & Calendar. 27 (31). 1999. Archived from the original on 3 November 2012. Retrieved 3 April 2013. ^ a b c "Awards & Honors: 2005 National Humanities Medalist John Lewis Gaddis". neh.gov. Retrieved 2 April 2013. ^ "CWIHP Advisory Committee". wilsoncenter.org. 2011-07-15. Retrieved 2 April 2013. ^ Painter 2006, p. 527. ^ Leffler 1999, p. 503, which describes Strategies of Containment as "one of the most influential books ever written on post-World War II international relations." ^ Hogan 1987, p. 494. ^ Leffler 1999, p. 502. ^ Leffler, Melvyn P. (1999). "The Cold War: What Do "We Now Know"?". The American Historical Review. 104 (2): 501–524. doi:10.2307/2650378. JSTOR 2650378. ^ Michael C. Boyer (22 January 2006). "A world divided: A leading historian evaluates the causes and ultimate collapse of the Cold War". Boston Globe. Retrieved 26 September 2013. ^ a b "John Lewis Gaddis Wins 2006 Harry S. Truman Book Award". trumanlibrary.org. 16 April 2006. Retrieved 2 April 2013. ^ Nagl, John (16 April 2018). "'On Grand Strategy' Review: The War Against Decline and Fall". The Wall Street Journal. Retrieved 27 May 2018. Hartung 2003 criticizes Gaddis for holding a "relatively positive assessment" of post-9/11 Bush foreign policy. ^ Jonathan Haslam (17 April 2012). "George F Kennan: An American Life by John Lewis Gaddis – review". The Guardian. theguardian.com. Retrieved 29 August 2013. ^ Baker, Dorie (April 26, 2013). "Yale professor's advice to former U.S. president: Paint". YaleNews. Yale University. Archived from the original on May 9, 2013. Retrieved May 9, 2013. ^ Rauchway, Eric. "Alterman on Gaddis on Kennan. - The Edge of the American West". The Chronicle of Higher Education. Retrieved 2019-02-20. ^ Chace, James (2004-10-07). "Empire, Anyone?". ISSN 0028-7504. Retrieved 2019-02-20. ^ "Gaddis: Bush Pre-emption Doctrine The Most Dramatic Policy Shift Since Cold War". Council on Foreign Relations. Retrieved 2019-02-20. ^ Gaddis, John Lewis (2018). On Grand Strategy. New York, New York: Penguin Press. p. 15. ISBN 9781594203510. ^ "New-York Historical Society Awards Its Annual American History Book Prize to John Lewis Gaddis for George F. Kennan: An American Life". nyhistory.org. 16 February 2012. Retrieved 2 April 2013. ^ "All Past National Book Critics Circle Award Winners and Finalists". bookcritics.org. Retrieved 2 April 2013. ^ "DeVane Medalists, 1966–Present". pbk.yalecollege.yale.edu. 8 November 2005. Retrieved 16 June 2015. ^ "Eastman Professors at the University of Oxford". americanrhodes.org. Retrieved 12 May 2013. ^ a b "Fulbright Alumni » Notable Fulbrighters". eca.state.gov. Retrieved 4 April 2013. ^ "Gaddis Named to American Academy of Arts and Sciences". ohio.edu. May 1995. Retrieved 4 April 2013. ^ "Alphabetical Index of Active AAAS Members as of 5 November 2013" (PDF). amacad.org. Retrieved 20 April 2014. ^ "Notable Achievements of Members". Perspectives. 33 (6). 1995. Retrieved 2 April 2013. ^ "Ohio University Historian Selected as Woodrow Wilson Fellow". ohio.edu. April 1995. Retrieved 4 April 2013. ^ "The Whitney H. Shepardson Fellowship". cfr.org. Retrieved 16 June 2015. ^ "John Lewis Gaddis: 1986 Fellow, U.S. History". gf.org. Archived from the original on 4 April 2013. Retrieved 2 April 2013. ^ "Distinguished Professors (Current–1959)". ohio.edu. Retrieved 4 April 2013. ^ "The Bancroft Prizes: Previous Awards". library.columbia.edu. Archived from the original on 10 April 2013. Retrieved 2 April 2013. ^ Gaddis 1974, p. 14, for "Best First Work of History". ^ "Author and historian John Lewis Gaddis to give lecture April 21". middlebury.edu. 11 April 2005. Retrieved 7 April 2013. ^ Reviewed at Nagl, John (2018). "The War Against Decline and Fall," Wall Street Journal, April 18, p. A6. Retrieved 17 April 2018. Ascherson, Neal (1997). "Khrushchev's Secret". London Review of Books. 19 (20): 26–28. Costigliola, Frank (2011). "Is This George Kennan?". The New York Review of Books. 58 (19): 4–8. Hartung, William D. (2003). "Bush as Strategist". Foreign Policy (135): 6. JSTOR 3183579. Hogan, Michael J. (1987). "The Search for a Synthesis: Economic Diplomacy in the Cold War". Reviews in American History. 15 (3): 493–498. JSTOR 2702050. Ikenberry, G. John (2006). "Book reviews: The Cold War: A New History by John Lewis Gaddis". Foreign Affairs. 85 (2): 187. JSTOR 20031922. Judt, Tony (2006). "A Story Still to Be Told". The New York Review of Books. 53 (5): 11–15. Leffler, Melvyn P. (1999). "The Cold War: What Do 'We Now Know'?". The American Historical Review. 104 (2): 501–524. JSTOR 2650378. Painter, David S. (2006). "A Partial History of the Cold War". Cold War History. 6 (4): 527–534. doi:10.1080/14682740600979295. Wikimedia Commons has media related to John Lewis Gaddis. The Truman Doctrine was an American foreign policy whose stated purpose was to counter Soviet geopolitical expansion during the Cold War. It was announced to Congress by President Harry S. Truman on March 12, 1947, and further developed on July 12, 1948, when he pledged to contain threats in Greece and Turkey. Direct American military force was usually not involved, but Congress appropriated financial aid to support the economies and militaries of Greece and Turkey. More generally, the Truman Doctrine implied American support for other nations allegedly threatened by Soviet communism. The Truman Doctrine became the foundation of American foreign policy, and led, in 1949, to the formation of NATO, a military alliance that is still in effect. Historians often use Truman's speech to date the start of the Cold War. George Frost Kennan was an American diplomat and historian. He was best known as an advocate of a policy of containment of Soviet expansion during the Cold War. He lectured widely and wrote scholarly histories of the relations between the USSR and the United States. He was also one of the group of foreign policy elders known as "The Wise Men". Paul Michael Kennedy is a British historian specialising in the history of international relations, economic power and grand strategy. He has published prominent books on the history of British foreign policy and Great Power struggles. He emphasises the changing economic power base that undergirds military and naval strength, noting how declining economic power leads to reduced military and diplomatic weight. The New Look was the name given to the national security policy of the United States during the administration of President Dwight D. Eisenhower. It reflected Eisenhower's concern for balancing the Cold War military commitments of the United States with the nation's financial resources. The policy emphasized reliance on strategic nuclear weapons to deter potential threats, both conventional and nuclear, from the Eastern Bloc of nations headed by the Soviet Union. This is an English language bibliography of scholarly books and articles on the Cold War. Because of the extent of the Cold War, the conflict is well documented. Odd Arne Westad FBA is a Norwegian historian specializing in the Cold War and contemporary East Asian history. He is the ST Lee Professor of US-Asia Relations at Harvard University, teaching in the John F. Kennedy School of Government. Westad is also a Senior Scholar at the Harvard Academy of International and Area Studies. Previously he was School Professor of International History at LSE, where he also served as director of LSE IDEAS. As soon as the term "Cold War" was popularized to refer to postwar tensions between the United States and the Soviet Union, interpreting the course and origins of the conflict became a source of heated controversy among historians, political scientists and journalists. In particular, historians have sharply disagreed as to who was responsible for the breakdown of Soviet Union–United States relations after the World War II and whether the conflict between the two superpowers was inevitable, or could have been avoided. Historians have also disagreed on what exactly the Cold War was, what the sources of the conflict were and how to disentangle patterns of action and reaction between the two sides. While the explanations of the origins of the conflict in academic discussions are complex and diverse, several general schools of thought on the subject can be identified. Historians commonly speak of three differing approaches to the study of the Cold War: "orthodox" accounts, "revisionism" and "post-revisionism". However, much of the historiography on the Cold War weaves together two or even all three of these broad categories and more recent scholars have tended to address issues that transcend the concerns of all three schools. Sir Lawrence David Freedman, is Emeritus Professor of War Studies at King's College London. He has been described as the "dean of British strategic studies", and was a member of the Iraq Inquiry. Fredrik Logevall is a Swedish-American historian and educator at Harvard University, where he is the Laurence D. Belfer Professor of International Affairs at the John F. Kennedy School of Government and professor of history in the Harvard Faculty of Arts and Sciences. He is a specialist in U.S. foreign policy and the Vietnam Wars. He was previously the Stephen and Madeline Anbinder Professor of History at Cornell University, where he also served as vice provost and as director of the Mario Einaudi Center for International Studies. He won the 2013 Pulitzer Prize for History for his book Embers of War: The Fall of an Empire and the Making of America’s Vietnam. George F. Kennan: An American Life is a nonfiction book about U.S. diplomat George F. Kennan by John Lewis Gaddis that won the 2012 Pulitzer Prize for Biography or Autobiography. David S. Painter is an associate professor of international history at Georgetown University. He is a leading scholar of the Cold War and United States foreign policy during the 20th century, with particular emphasis on their relation to oil. Warner Roller Schilling was an American political scientist and international relations scholar at Columbia University, where he was the James T. Shotwell Professor of International Relations. He was director of the university's Institute of War and Peace Studies from 1976 to 1986.